For 17 seasons now Sven Väth’s Cocoon night has been a port of call for techno fans on the White Isle. Now, as another year’s came to a close, the musical highlights from 2016 get mixed up then laid down across two discs by label boss, Sven Väth. Disc one starts with some atmospheric summery sounds and pleasing bird calls stitched to a deep house groove. From there a diverse selection of artists are all called upon from the European likes of Ripperton and C-Rau to two very different Detroit techno artists in Omar S and Eddie Fowlkes. Staying warm and inviting throughout, and never straying from a chunky techno come house groove, the moods range from woozy and laid back to minimal and hypnotic. CD1 closes down with a brace of tracks, one a remix by Roman Flügel of ‘OFF’ feat. 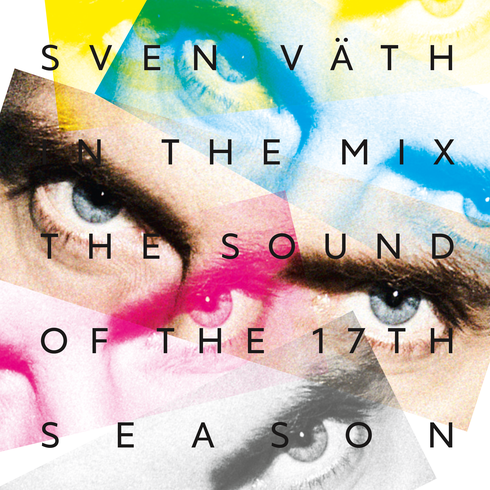 Sven Väth’s ‘Electrica Salsa’ and the other a soothing cut by Pantha du Prince. The selections represent the sound of the early hours at Amnesia. CD2 sweeps and swirls through some quirky and curious techno selections. Still comparatively stripped back compared to some years, this mix calls on artists such as Levon Vincent, Redshape, Floorplan and Johannes Heil for its thrills. Heavyweight cuts rub up next to loopy jams that bring a real sense of party to the mix. Twisting through acid jams and dubbed out head tracks, the whole thing warps up on the graceful melodic sounds of Konstantin Sibold. Once again this compilation is a good reminder of what makes Sven Väth, Cocoon and Mondays at Amnesia so popular in the techno world.